The all-new, paddle-shift eight-speed automatic transmission makes the 2015 Corvette Stingray faster and more fuel efficient, with 0-60 acceleration of only 3.7 seconds and an EPA-estimated 29 mpg on the highway. The Stingray’s 0-60 performance is 0.1-second quicker than the previous six-speed automatic, contributing to a quicker quarter-mile elapsed time of 11.9 seconds – a 0.1-second improvement over the six-speed auto. Its 29-mpg highway rating represents a 3.5-percent increase over the six-speed. New eight-speed models are EPA-rated at 16 mpg in the city and 20 mpg combined. In fact, the Stingray’s stingy fuel consumption on the highway is not only better than sports car competitors such as Porsche 911 Carrera (28 mpg), Audi R8 V-8 (20 mpg), Jaguar F-Type R (23 mpg) or Nissan GT-R (23 mpg), it tops conventional cars with smaller engines, like the Subaru Outback six-cylinder (27 mpg), Volkswagen Passat six-cylinder (28 mpg) and Mercedes-Benz C350 coupe (28 mpg). 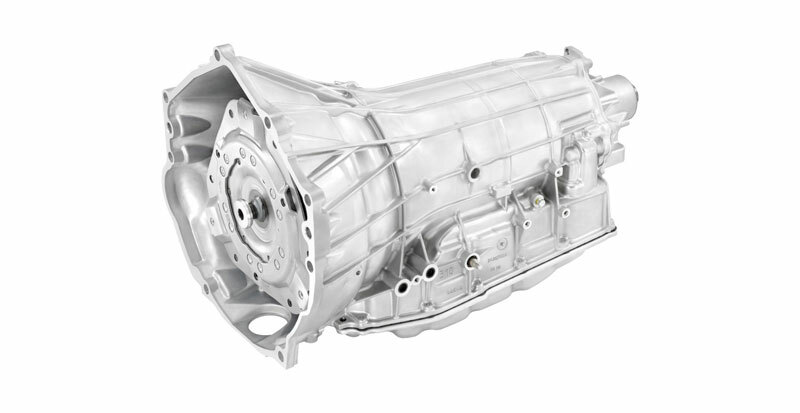 The greater performance and efficiency enabled by the available, GM-developed Hydra-Matic 8L90 eight-speed automatic is due primarily to its 7.0 overall gear ratio spread, which enhances off-the-line performance with a more aggressive first gear ratio – 4.56 vs. 4.03 on the six-speed – helping achieve the quicker 0-60 time. It also delivers world-class shift times that rival the best dual-clutch design. Combined with a new, numerically lower 2.41 rear axle ratio vs. the 2.56 gear used with previous six-speed automatic models, engine rpm is reduced by 8 percent (123 rpm) on the highway at 70 mph. The lower engine speed reduces fuel consumption. Z51-equipped models retain a 2.73 rear axle ratio. The new paddle-shift eight-speed automatic complements the performance generated by the Corvette Stingray’s LT1 engine – rated at 455 horsepower or 460 horses with the available performance exhaust system – which uses advanced technologies including direct injection, variable valve timing and Active Fuel Management (cylinder deactivation) to make more power with less fuel. Advanced composite materials in the body structure and a lightweight aluminum frame, as well as aluminum and magnesium suspension components, support the Corvette’s efficiency with a low curb weight of only 3,298 pounds /1,499 kg (Stingray coupe). They also enhance performance by giving the Stingray an excellent power-to-weight ratio of 7.25 – or one horsepower for every 7.25 pounds of mass. That’s better than Porsche 911 Carrera’s 8.7 ratio and Audi R8 V-8’s 8.3 ratio. For those who prefer a traditional manual-shifting driving experience, the 2015 Corvette Stingray is available with a seven-speed manual that delivers 0-60 times of 3.8 seconds and EPA-estimated 29 mpg on the highway.